The group exhibition 'I Was Here Tomorrow’ was a joint project initiated by twelve international curators, including eight art students from the University of Applied Arts in Vienna. 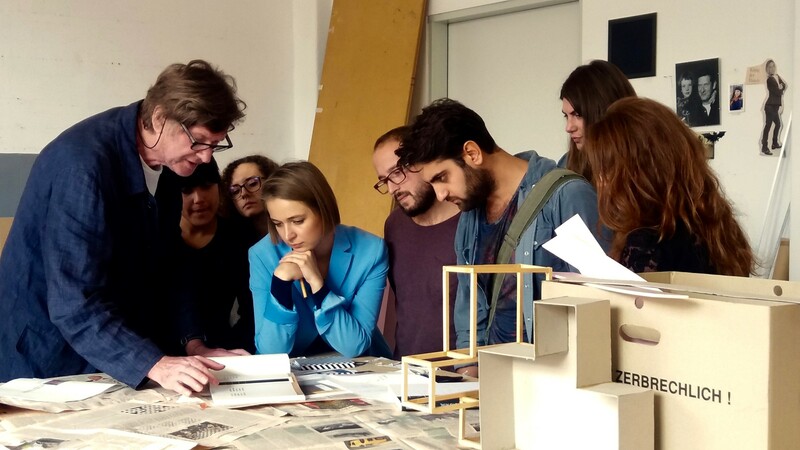 The curatorial collaboration explored the Viennese arts scene over a six-week period for a curatorial residency programme titled 'Curators’ Agenda: Vienna 2016'; this programme was organised by in association with the organisation BLOCKFREI. This (third) running of the programme culminated in a finale show at Krinzinger Projekte, the project- and creativity-space attached to the Galerie Krinzinger. Visitors were welcome to view the week-long exhibition and viewing were facilitated by extended opening hours. 'I Was Here Tomorrow’ featured a selection of works by eight young artists, exploring the effects, possibilities and dynamics that are opened up by gestures of repetition. The works thus valued adaptation and manipulation, in seeking to generate larger statements by meticulously and rigorously adding up small-scale interferences and gestures into a progressive and cumulative whole and large-scale work. This final objective – the macro-level work at the end – was not, however, the ultimate point of emphasis. It was the process and iteration inherent to the project, with its implications of an unreachable future, always escaping across the horizon from accessible grasp, which were the emphatic foci. The steady standardisation of images was not, similarly, held to be as important for this work process as the way in which the artists navigated one another’s works in a web of interactions. The resultant art works thus form mere residues, testaments to the ritualised and vibrant process which is of more critical interest. As part of the exhibition an artists’ talk was conducted which expanded on the curatorial concept using some of the resultant works and a detailed dialogical exploration of the importance of process to this project by the artists. This talk took place on Saturday 29th October. The talk was led by Klaus Speidel, an image theorist, art critic and curator.